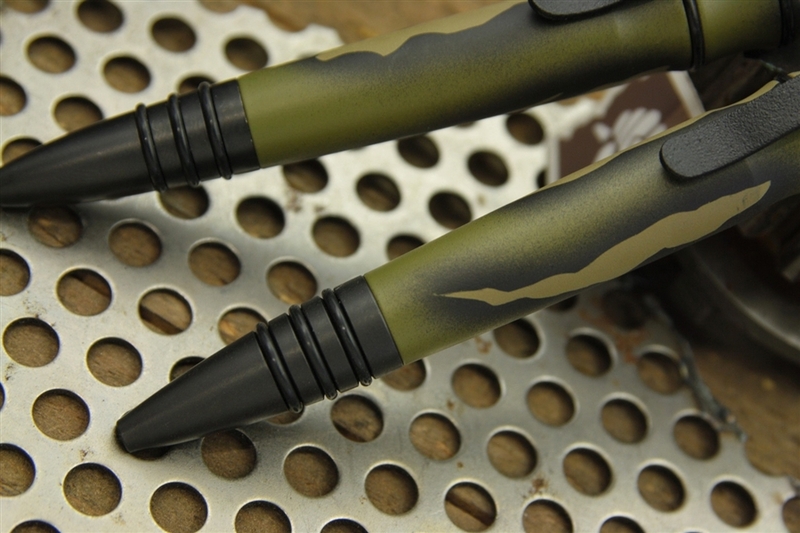 This pen has the the durable spray-on / bake-on Cerakote surface finish which helps minimize fingerprint marks and reflection off the pen. 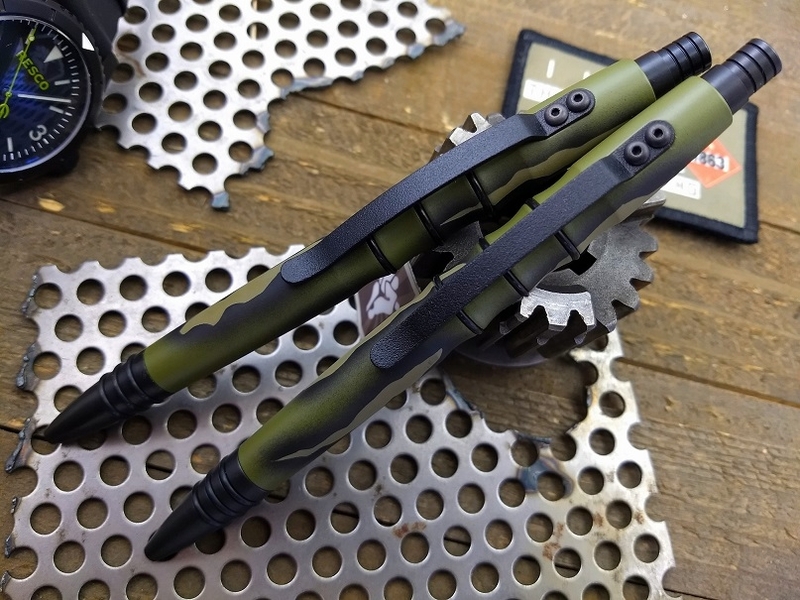 The best part is that the new design of this pen allows it to be operated one handed and still fit into virtually any shirt pocket. Simple, functional and elegant all at the same time. 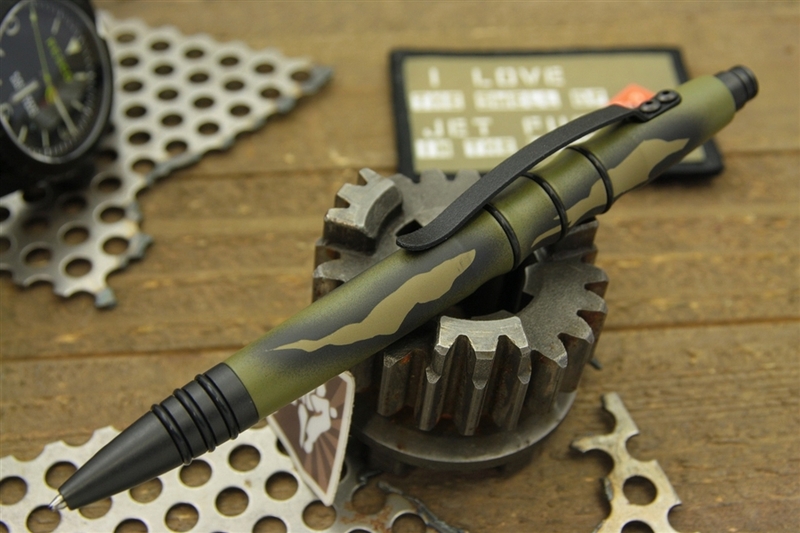 There are no identifying marks, no logos and no engravings on this pen. 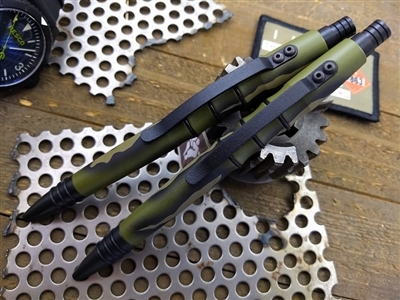 Quite possibly the perfect take anywhere, write everywhere and work always "clicky" pen. 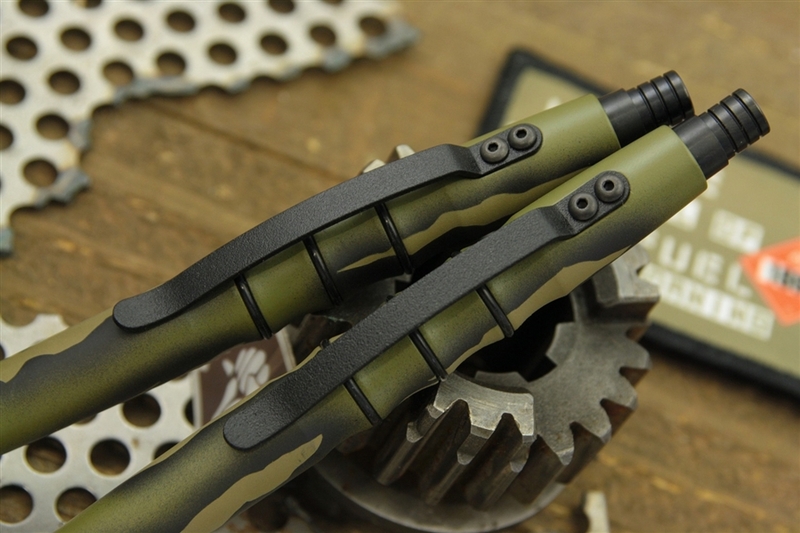 Light-weight, amazingly durable spray-on / bake-on Cerakote finish. Best of all, conceived, designed and proudly made in the USA.